Friction has long been considered an important attribute for vehicle tires. As long ago as 1905, Tread was developed for tires. Tread is the part of a tire that comes in direct contact with a road surface. Road surface friction coefficient increased with a development of the tread tire. 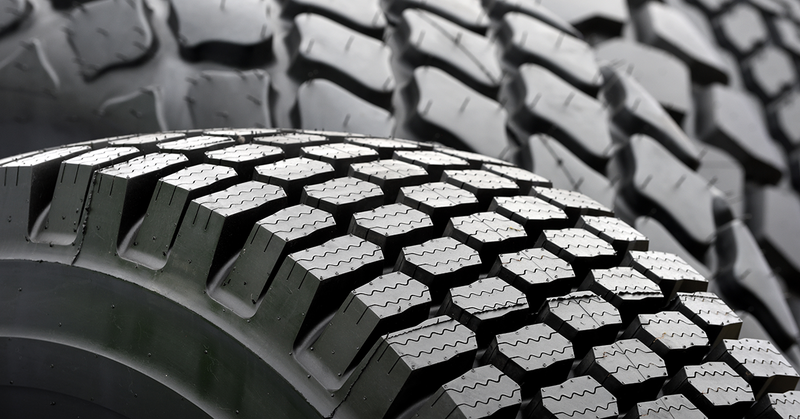 The tread pattern of rubber tires plays a major role in determining their friction, or skid resistance. Under dry conditions on paved roads, a smooth tire gives better traction than a grooved or patterned tread because a larger area of contact is available to develop the frictional forces. A patterned tire provides grooves or channels into which the water can squeeze as the tire rolls along the road, thus again providing a region of direct contact between tire and road. A patterned tire gives typical dry and wet frictional coefficients of about 0.7 and 0.4, respectively. These values represent a compromise between the extreme values of about 0.9 (dry) and 0.1 (wet) obtained with a smooth tire. Other technology, such as rubber chemistry, has not stood still either besides tread design when it comes to increasing safety, performance and yes even friction for tires. As snow becomes hard and packed it can be very slippery. The coefficient of friction is then less than when the tires are on pavement which means that the "sticky" force is not as great in holding the tires and the snow covered road together. In these conditions the car tires begin to slip as they try to grip onto the road so the car tires spin in the snow. Tires can be designed to improve friction (contact) to allow the water to go from under the wheels allowing the tire to stay in contact with the road providing the traction needed to stay on the road. A BIG QUESTION: why not measure friction improvement when measuring the performance of deicers. Skid resistance depends on a pavement surface’s microtexture and macrotexture (Corley-Lay, 1998). Skid resistance changes over time. Typically it increases in the first two years following construction as the roadway is worn away by traffic and rough aggregate surfaces become exposed, then decreases over the remaining pavement life as aggregates become more polished. With Highway Engineers concerned with Road Friction for nearly a 100 years it only makes sense to measure deicer performance as it relates to friction measurement. So why not measure the influence of a deicers effect on Friction versus the accepted industry test SHRP H-205.1. The SHRP test which has been used for about 30 years, determines the volume of ice melted per mass unit of product applied in lab conditions. However, this test method is considered by many in the deicing industry to be imprecise and inconsistent. Many feel it is lacking in its ability to measure the effectiveness of solid deicers. Modifications of the SHRP method can fill in some detail not obtained through the original method, but still doesn’t provide performance-based results that speak to the true goal of deicing – which is to return a driving surface to a safe friction level as quickly as possible for a sustained period, and at maximum efficiency. Industry-accepted lab data using the legacy SHRP test does not reliably indicate at what rate nor to what degree an icy, unsafe road returns to a friction level that allows for safe driving conditions. Friction on the road, not melting capacity or melting power, is the measure necessary to understand the effectiveness of deicers. Of course, industry standards cannot determine application rates and frequencies, these decisions are best made by the professionals in the field. In fact, it is difficult and rare to find lab data that reflects real-life conditions and results. What has advanced is the ability to measure a product’s performance outside of the lab. New technology with sensors allows snow-fighting professionals to see how products work in the field. 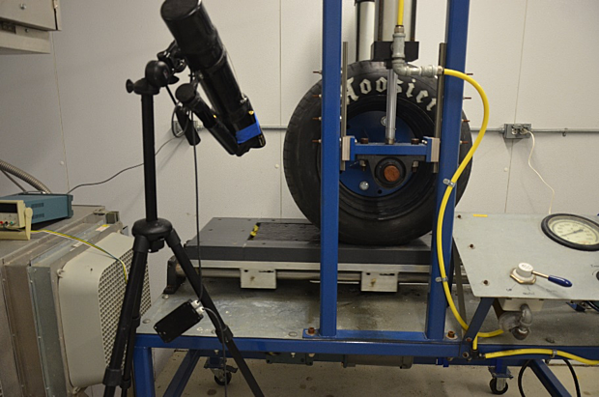 This new friction test (and its resulting data) was developed as a test method using a friction analyzer, a cold plate, and simulated track to measure the true effectiveness of deicers - replicating as closely as possible real-life conditions. This method measures how quickly and for how long several deicers return a driving surface to a friction coefficient of 0.6, the coefficient of friction equivalent to a safe “wet” road. This test couples what snowfighters see in the field with usable data from the lab. The goal is to give snowfighting professionals lab data that helps them choose products best suited to the actual conditions they are seeing. It shows which products actually work! Skid resistance depends on a pavement surface’s microtexture and macrotexture (Corley-Lay, 1998). Skid resistance changes over time. Typically it increases in the first two years following construction as the roadway is worn away by traffic and rough aggregate surfaces become exposed, then decreases over the remaining pavement life as aggregates become more polished. With Highway Engineers concerned with Road Friction for nearly a 100 years it only makes sense to measure deicer performance as it relates to friction measurement. Performance is the key when dealing with icy and snowy roads. Download the Ice Slicer® Brochure, a granular deicing product used to break the bond of snow and ice from roadways "and improve friction."